I love this beach so much because it isn't crowded at all - although I like crowded beaches - and it has pebbles, not sand. 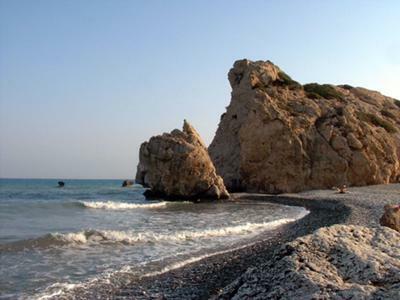 It has an amazing, colourful sunset and it has several rocks. 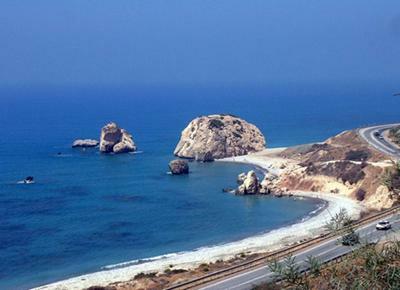 One of them is supposedly the rock where Aphrodite, the Cypriot Love and Beauty Goddess was born, and there's another legend also, that says that Aphrodite emerged from the sea waves of that beach. 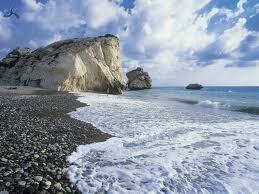 The waters of the beach at Petra tou Romiou are crystal clear and it's very quiet and peacful there. It has an exotic natural beauty with many wildflowers. It simply is amazing! 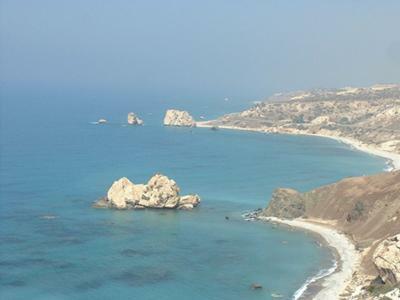 Thanks for sharing your wonderful pictures and comments about Petra tou Romiou beach, otherwise known as Aphrodite's Rock. You're right, the sunsets are simply stunning and the views awesome. If you happen to be there when people are jumping off the rock, it's even more spectacular. Join in and write your own page! It's easy to do. How? Simply click here to return to Best Beach.